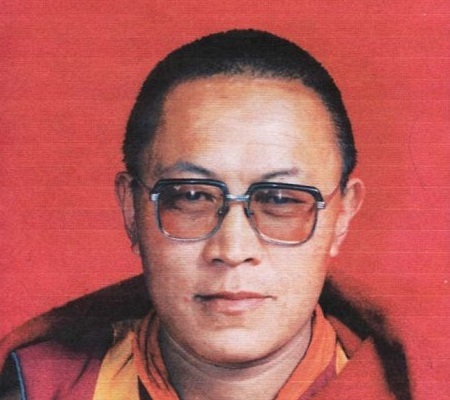 The religious leader, Tenzin Delek Rinpoche. (TibetanReview.net, Jul14, 2015) – A popular Tibetan religious leader known for his environmental and charity works and jailed by the Chinese government in 2002 on a false bombing allegation has died on or before Jul 12, reported Radio Free Asia (RFA, Washington) and Reuters Jul 13, citing his family. The religious leader, Tenzin Delek Rinpoche, 65, was in delicate health for a number of years but China ignored all pleas by his family as well as calls by United States, European Union and international human rights groups for his release on medical parole and for a proper medical care for him, noted Reuters Jul 13. “Chinese police informed his relatives that he was seriously ill and when they rushed to visit him, they were told he was already dead,” RFA quoted a source in Tibet as saying. Two of his relatives had been in Chengdu, Sichuan’s capital, for more than a week hoping to visit him in a jail in Mianyang city but they were not allowed by the authorities to see him. The authorities were yet to release the monk’s body for proper religious last rituals. The immediate cause of the death, which occurred in Chuandong prison, was not clear, the Reuters report cited Geshe Nyima, the deceased monk’s cousin, as saying from India, adding that police authorities while notifying his two sisters, did not elaborate on the circumstances of his death. Tenzin Delek Rinpoche, a highly respected figure whose immense popularity was an eyesore to the local officials, was charged with involvement in an Apr 3, 2002 bombing in the central square of Chengdu. He was initially sentenced to death in December that year, along with an assistant named Lobsang Dondrub. The assistant was executed immediately while his sentenced was eventually converted into life imprisonment and later to a 20-year jail term. The monk had visited India and was recognized by Tibet’s exiled spiritual leader, the Dalai Lama, as a reincarnated lama in the 1980s. The Chinese authorities had detained or sough to detain him several times on various false charges before eventually accusing him of being involved in an unsolved bombing incident.